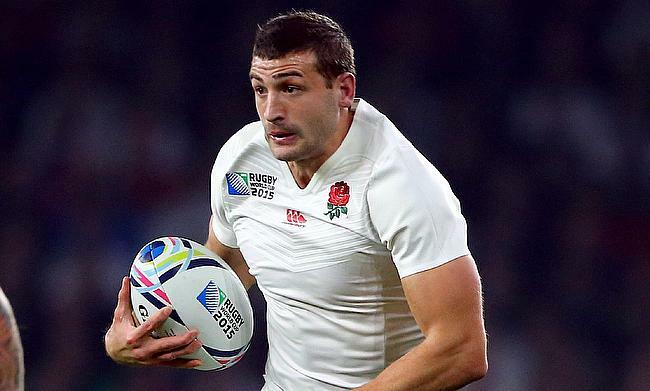 Jonny May, Tom Curry and Mark Wilson have been nominated for England's Men's Player of the Year Award following successful performances in the 2018/19 season. 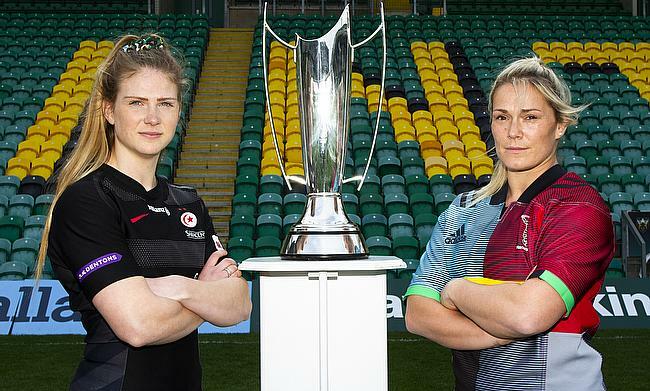 Saracens Women captain Lotte Clapp and captain of Harlequins Ladies Rachel Burford are upbeat of their team's chances ahead of the Tyrrells Premier 15s final scheduled at Franklin's Gardens on Saturday. 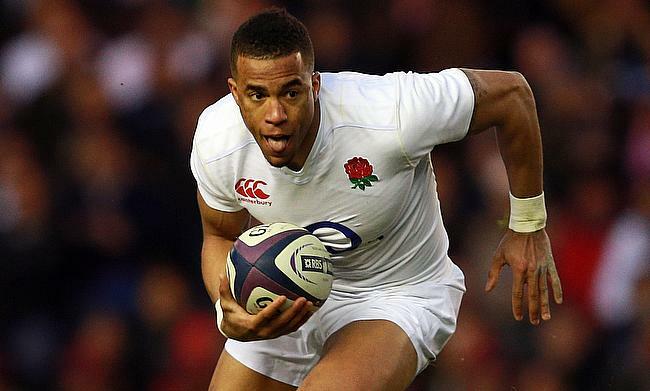 England wing Anthony Watson is eager to make comeback on Friday night Bath's game against Sale after 13-month injury absence. Mako Vunipola is proud of little brother Billy's self-control after he was booed throughout Saracens' Heineken Champions Cup victory over Munster. Quins produced a valiant comeback in the final 20 minutes after trailing 32-8 but failed to stop Clermont Auvergne from setting up an all-French European Challenge Cup final with La Rochelle after going down 32-27 at the Stade Marcel Michelin. Jonathan Sexton guided Leinster into a European Champions Cup final against Saracens after defending champions Leinster registered an impressive 30-12 victory over Toulouse at the Aviva Stadium. France brought an end to a 38-game winning streak of New Zealand counterparts as they went on to claim the quarter-final berth in the opening day of the Kitakyushu leg of the Women's HSBC World Rugby Sevens Series. La Rochelle managed to hold Sale Sharks as they sealed a 24-20 win at Stade Marcel Deflandre to reach the final of the European Challenge Cup. Barbarians have confirmed that Bristol Bears head coach Pat Lam will take charge of the invitational side in their upcoming Quilter Cup match against England at Twickenham Stadium on 2nd June. Former England captain Jason Leonard has been confirmed as the new chairman of the British and Irish Lions board. Ireland skipper Rory Best has confirmed that he will quit professional rugby at the end of the World Cup scheduled in Japan later this year. Scotland rugby stars who grew up in North Berwick have been talking about the role the East Lothian town has played in their sporting journey as the local club gets ready to host their annual sevens this weekend. Darren Fearn has saluted England Students for showing an ‘air of maturity’ in their historic 27-17 win over France Universities. National Two North leaders Hull Ionians can secure an immediate return to National One when Leicester Lions head to Brantingham Park on Saturday. Players up and down the country will be getting excited ahead of playing in the Melrose Sevens - and none more so than Scott McKean. The University of Exeter retained their BUCS Championship crown after fighting back to beat Durham University 30-26 in an excellent contest at Twickenham. The top two Women’s university teams in the country are set to do battle for the BUCS Championship as current holders the University of Exeter take on Durham University. Ahead of the 2019 BUCS Super Rugby Championship final, Italy international Seb Negri and Harlequins sensation Alex Dombrandt spoke to TRU about their experiences of captaining their university at Twickenham. Twenty-eight weeks have passed, 96 games have been played and we are now left with an eagerly anticipated BUCS Super Rugby Championship final between Leeds Beckett University and Hartpury University at Twickenham. Chester’s top two aspirations were dented in Round 28 as Sedgley Park produced a superb display to defeat the National Two North promotion hopefuls. Chester can take yet another step towards a top two finish in National Two North if they can clinch a positive result against an in-form Sedgley Park in Round 28. Kyle Steyn’s recent form for Glasgow Warriors and his inclusion in a Six Nations training squad by Gregor Townsend is a glowing endorsement that sevens continues to play a vital role in the growth of the Scottish game. Scotland Women Sevens head coach Scott Forrest wants his side to embrace the opportunity of playing in Hong Kong over the coming days - and he has urged them to “show no fear” as they aim to secure a place on the World Series circuit for 2019/20. 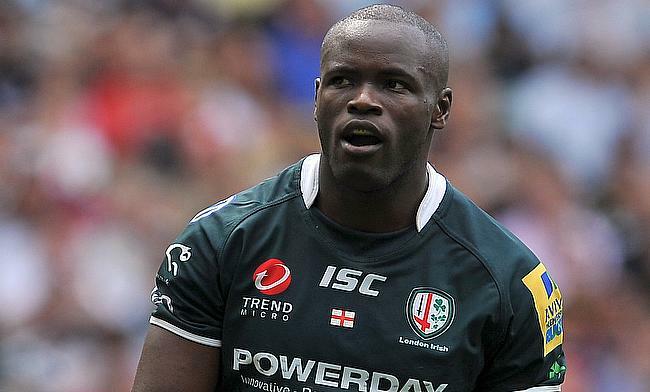 England Students have named a 23-strong squad for their two games with France Universities this month, including seven BUCS Super Rugby finalists. Leeds Beckett University and Hartpury University will contest the BUCS Super Rugby Championship final on April 10th after excellent victories in the last four of the competition. Louis Messer is hoping his University of Bath side can maintain the consistency and confidence they have been able to generate as they look to secure a place in the BUCS Super Rugby Championship final. Harlequins-bound Luke Northmore speaks to TRU about his ‘massive’ development at university, the impact of old friends and why he is relishing his move to the Premiership. The Bristol lock speaks to TRU contributor Ali Stokes after recovering from Hodgkin lymphoma. Chester have created some breathing space between themselves and their fellow promotion contenders after a significant win over rivals Fylde at Woodlands. The dust has well and truly settled after Scotland's superb fightback against England last week and with attentions turning to the World Cup in Japan, Gary Heatly has picked out six talking points. Chester or Fylde can potentially take an important step towards a top two finish in National Two North when the sides meet at Woodlands on Saturday. James Horwill insists preparing for life after rugby is vital and he also believes encouraging young players can only improve the ‘lifeblood’ of the game. 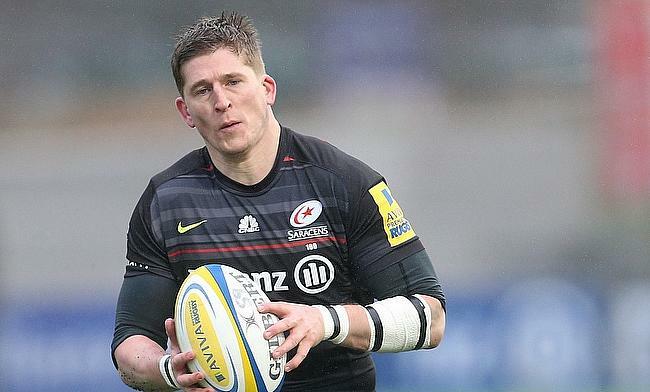 Magnus Bradbury can become an “enforcer” in the number six jersey over the long-term for Scotland, according to Edinburgh Rugby head coach Richard Cockerill. Rhiannon Garth Jones gives her verdict after Ireland's below-par Six Nations campaign as Wales seal Grand Slam. The 2019 6 Nations has delivered and Wales are crowned Champions. Plenty of drama even on the last day. We could have had Ireland nilled and Scotland staging the biggest winning comeback; neither materialised but so close. France managed to overcome Italy with a hard-fought 14-25 victory in the final round of the Six Nations 2019 campaign at Stadio Olimpico on Saturday. The Queensland Reds made a spirited second-half fightback as they edged out Sunwolves 31-34 in their Super Rugby clash at Prince Chichibu Memorial Stadium on Saturday. Scotland international Blair Kinghorn has been ruled out for the remainder of the season after undergoing surgery on his ankle. Stormers came up with a clinical performance as they went on trounce Jaguares 35-8 in their Super Rugby encounter at DHL Newlands on Friday. Folau Fainga'a scored a double as Brumbies edged out Waratahs 19-13 in their Super Rugby clash at GIO Stadium on Friday. The roof of the Principality Stadium that hosts the final round of the Six Nations clash between Wales and Ireland on Saturday will remain open despite a poor weather forecast. TRU's Gary Heatly picks out 10 talking points as Scotland look to end 36 years of hurt against England at Twickenham this weekend. As the Red Roses sit on the verge of a Grand Slam, TRU chats to England’s Sarah Beckett about her journey to the international stage, the rise of the women’s game and the prospect of lifting the Six Nations at Twickenham.